A new venture offering print copies of selected scores recently digitized by Sibley Music Library is kicking off! Come see the new site at Eastman Scores Publishing. The sheet music pamphlets are published by the Eastman School of Music and printed and distributed by Library Commerce, an organization formed with grant support from the Rochester Regional Library Council’s Harold Hacker Fund, to help libraries develop ways to earn income from library services that are worthwhile, but impossible to offer without a sustainable revenue source and do not fit standard commercial formats. In this case, the high quality materials and print preparation developed by Sibley for our in-house preservation reformatting are used to make sturdy, beautiful print editions of sheet music pamphlets available for sale. On this first day there are 100 scores “in stock” for immediate print on demand, mostly string and piano music, with another 150 scores, many of them organ works, to be added during the coming week, once we know the site is up and running without hitches. New scores will be added as they are edited. Dan Lopata, the proprietor of Library Commerce, will be happy to take requests from individuals who would like to be able to purchase a quality printed copy of a score they have seen at the Sibley Music Library digital site in the University of Rochester’s UR Research repository. He can be reached with requests at dlopata@eastmanscorespublishing.com and will respond with an estimate of how much the finished score will cost and how soon the editing can be completed. Once a score is edited he anticipates the normal print-on-demand turnaround time to be 48-72 hours. To begin with we will only be offering music that can be suitably printed and bound in pamphlet format, which means scores with no more than 48 pages (parts are bound, and therefore counted, separately). We will soon be able to offer trimmed, ready-to-bind copies of longer scores, and we are working on adding availability of adhesive bound copies. But first come check out the site at Eastman Scores Publishing! We’re very excited that it has all come together, and look forward to finding out what people think. We are pleased to announce that Sibley has received a National Endowment for the Humanities Preservation and Access Award of $300,000 in support of the Library’s continuing efforts to digitize music scores in the public domain (i.e., no longer protected by copyright). This award supports a second phase of scores digitization that will extend from May 2011 through September 2012 and builds on a similar NEH grant-funded project that concluded in April 2011. The 2009–2011 NEH award resulted in the digitization of 9,600 public domain scores, a total of 303,000 pages of digitized music. Like that first grant, this second NEH award supports the efforts of Sibley Music Library to provide free online access to public domain scores from the Library’s general collections, with an emphasis on those scores not widely held by other libraries and not digitized elsewhere. The Library’s scores digitization program, which complements other large-scale book-centric digitization programs, has become an important source of music for scholars and musicians in this country and around the world. To date, Sibley Music Library has digitized over 11,000 public domain scores and books, which have accounted for more than three million downloads from the University of Rochester’s Digital Repository, UR Research. Over the course of the 2011–2012 NEH-funded project, Sibley Music Library will digitize 9,500 additional scores and make them freely available at UR Research. The NEH award supports the hiring of two staff members, thus permitting the Library to continue the current pace of its digitization program. Co-investigators for the project are Sibley Music Library staff members Alice Carli, Conservator, and Jim Farrington, Head of Public Services. Linda Blair, Head of Cataloging, provides bibliographic assistance to the project. René de Boisdeffre (1838-1906) was a French musician and composer of chamber music. Born in Vesoul, Boisdeffre studied with Auguste Barbereau and Charles Wagner, developing an elegant compositional style that won him the Prix Chartier in 1883. Focusing primarily on chamber music for strings, he also composed piano pieces, songs, a mass, and a symphony. 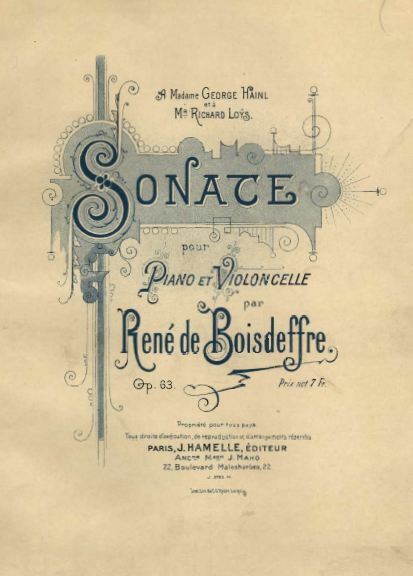 Though his works quickly fell out of favor (from what the Macmillan Encyclopedia cites as a lack of inventiveness), Boisdeffre is another composer whose works are enjoying a digital resurgence thanks to the NEH project at Sibley Library. So far, 17 of his compositions have been scanned and posted online, including his sonata for cello and piano. 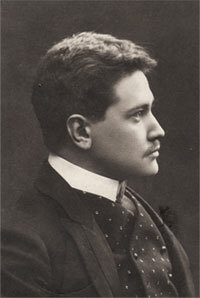 Selim Palmgren (1878-1951) was a Finnish composer and pianist. After completing his studies in Finland and Germany, Palmgren embarked on a set of successful European concert tours, as both a performer and conductor. After a 1920 American tour, Palmgren was invited to the newly opened Eastman School of Music to replace Christian Sinding as professor of theory and composition (Sinding having departed after only 1 year of teaching). Palmgren taught at Eastman until 1927, after which he returned to subsequent teaching positions in Helsinki. Though a composer of opera, songs, and orchestral works, Palmgren was best recognized as a composer of piano music, contributing 5 concertos, a sonata, preludes, and numerous other pieces to the repertoire. Not surprisingly, Sibley holds many works by Palmgren, a number of which are up for digitization. Check out Palmgren’s op. 79 compositions for an example of his writing for the piano. As we finish processing the rest of the instrumental music and prepare it to go up online, we’ve begun pulling the public domain, long-form sacred vocal music from our collection. This means oratorios, cantatas and choruses are on the way, from well known composers like Bach, Haydn and Mozart, and many lesser known composers as well, including Chadwick, Ropartz, Stanford (who have become familiar faces to us by now!) It may take some time before you begin seeing these works online, so for now, vocal scores of the Mozart masses can keep you occupied. Below, Sir Colin Rex Davis conducts the Introitus from Mozart’s Requiem Mass at the Sächsische Staatsoper in Dresden. The Requiem Mass is no. 15 in our collection of vocal scores. As we finish uploading the full orchestra scores we’ve been working on for the past few weeks, we’ve pulled and begun preparing the rest of the purely instrumental music to be digitized under our current grant. This includes full scores for string orchestra and band, as well as children’s music, with works by composers including Bach, Grainger, Grieg, Holst and Schumann. There’s still plenty of music to digitize after this though in our collections of vocal music, including operas, choruses, cantatas, and sacred and secular songs. Joseph Holbrooke’s Jamaican Dances for the Young are an example of some of the children’s piano music we’ll be uploading soon. Some of our online followers have noticed some inconsistencies with the UR Research site this week. Here’s a little more information about what’s been going on. On Thursday, July 15th around 7:30 AM, UR Research was taken down for planned maintenance. Though scheduled to last only a few hours, a technical problem was encountered that required the site to remain down for most of the day. UR Research came back online that night around 11 PM. Due to the problems encountered, UR Research had to be restored from a previously backed up version of the database, made Wednesday, July 14th at 5 AM. As a result, when users returned to the site the morning of Friday, July 16th, the most recent publications, created anytime after July 14th at 5 AM, were missing. It was as if the last 2 days had not happened at all. The good news is that none of these publications have been lost. 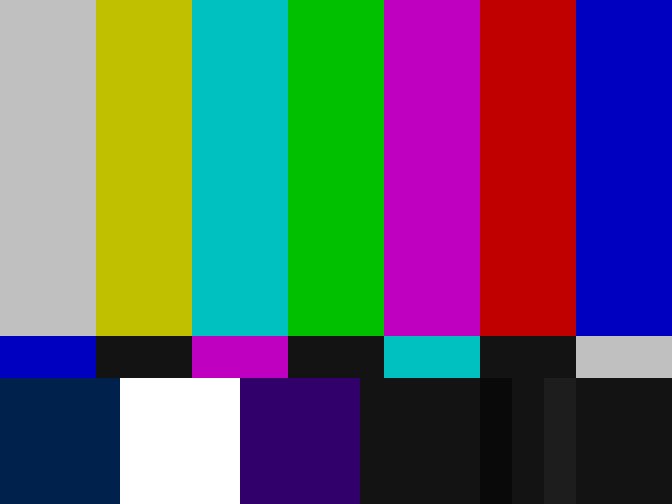 The majority were restored on Friday, and the rest will be back up when staff return to the library on Monday. If you are subscribed to RSS notifications for Sibley’s Digital Scores Collection, all notifications received on July 14th and 15th should be disregarded. Users who receive email notifications should disregard the email sent out the morning of July 15th. The publications these notifications refer to are, or will soon be, available again on UR Research, but under different URLs than originally listed. Having stable access and persistent URLs to our online resources is very important to us and our online patrons, and we apologize for any inconveniences this has caused. If you have any questions or concerns, please contact us.